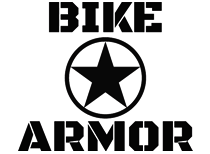 Marty Dawson April 9, 2019 at 6:33 pmRode it counter clockwise on 4/9/19. At least a dozen small puddles but no real mud. Scott Wolfe March 29, 2019 at 6:07 pmTH to Boyd Cave via Arnold Ice Cave is 85% clear. Some of the north facing switchbacks still have some rapidly melting snow and wet areas, but largely Dry. When you get to Coyote section where Boyd Cave ends the conditions deteriorate rapidly. Mud, lots of patchy melting snow and standing ice/water. In the trees between Horse Butte Rd and TH it's still lots of snow. Avoid Coyote section for a few more weeks. Bruce Bradshaw October 16, 2018 at 8:47 pmRiding well, but dusty. Bruce Bradshaw October 4, 2018 at 4:34 pmSoft out of tread, but otherwise good. Some bushes have been cut back, but still get wacked by others. Dylan Moore April 2, 2018 at 9:06 amRiding great. A couple of dry sandy corners. Bruce Bradshaw March 12, 2018 at 5:06 pmPatches of mud in the trees, but tacky elsewhere. Richard Fernald February 21, 2018 at 6:12 pmHorse Butte Loop riding great. 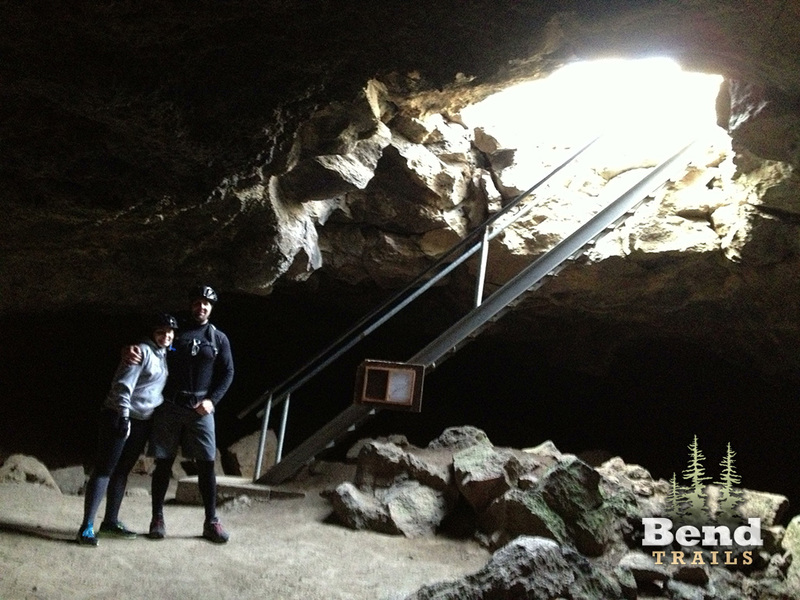 The loop is made up of three trails: the Coyote Loop Trail, the Boyd Cave Trail, and the Arnold Ice Cave Trail. 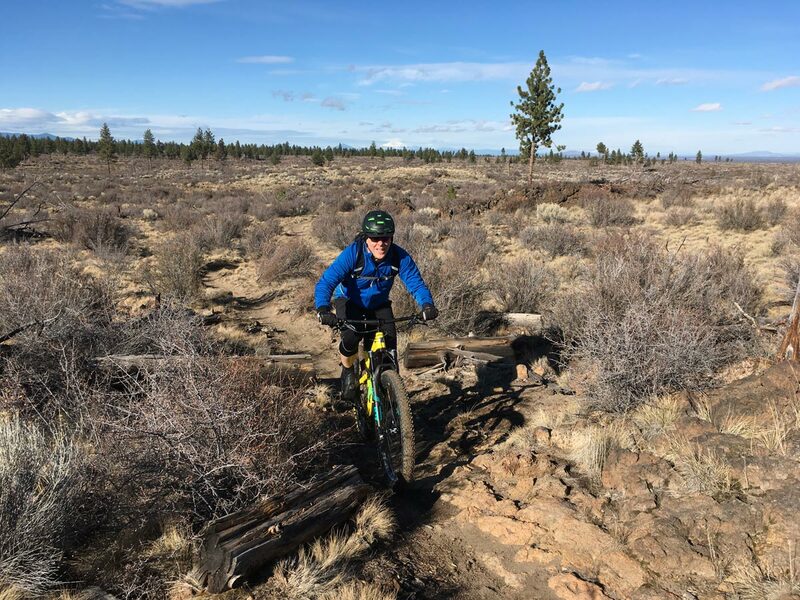 Depending on the snow depth and trail conditions, you’ll often find other options to extend your ride — or jump on China Hat Road and rack up some miles. One of the coolest things about riding Horse Butte are the views. 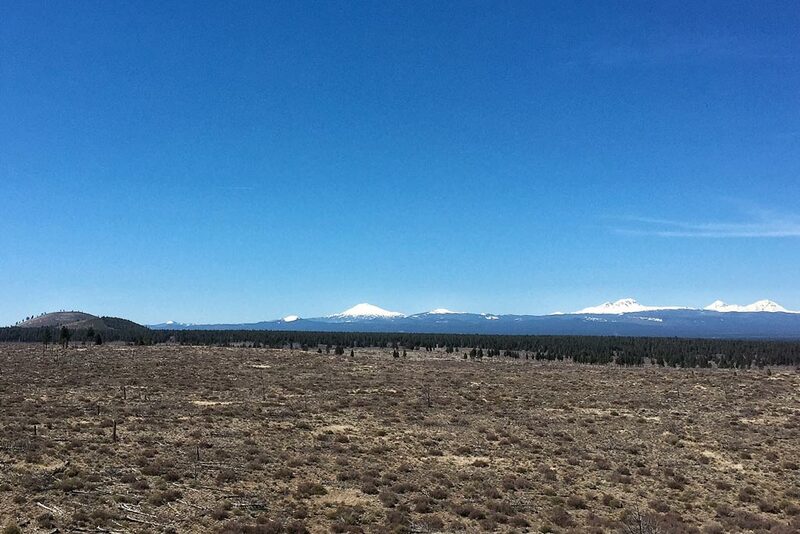 Unlike Bend’s west-side MTB trails, Horse Butte is fairly open and exposed making for some great vistas. For the same reason, it’s not super fun spot if the wind is howling, because there’s little to no cover. 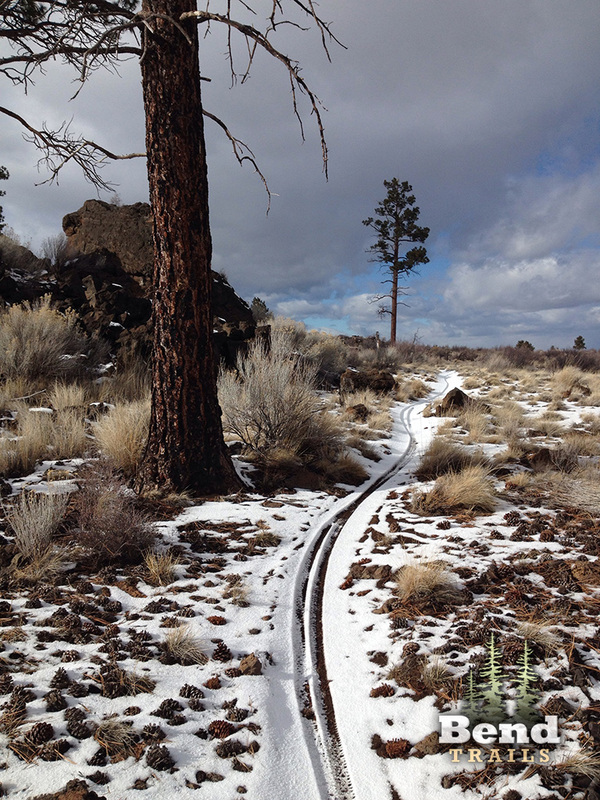 These trails are maintained by Central Oregon Trail Alliance. Rode it counter clockwise on 4/9/19. At least a dozen small puddles but no real mud. TH to Boyd Cave via Arnold Ice Cave is 85% clear. Some of the north facing switchbacks still have some rapidly melting snow and wet areas, but largely Dry. When you get to Coyote section where Boyd Cave ends the conditions deteriorate rapidly. Mud, lots of patchy melting snow and standing ice/water. In the trees between Horse Butte Rd and TH it’s still lots of snow. Avoid Coyote section for a few more weeks. Soft out of tread, but otherwise good. Some bushes have been cut back, but still get wacked by others. Riding great. A couple of dry sandy corners. Patches of mud in the trees, but tacky elsewhere. Horse Butte Loop riding great. Loop is riding great. Just a tiny bit of snow on the side of a few areas, but mostly prime dirt. Loose in places and dusty, but still rides well. The bushes seem bigger. I hadn’t noticed handlebar notches in them before today. Rode the loop this last weekend – our first time out in this area (we’re from the valley). It was beautiful. No snow – nice footing. Fast and fun for us and the dogs! loop is very rideable if you go early, as to not cause trail damage. I got out there about 8:30 was definitely worth riding. Rode today. Snow and mud in the trees. The open areas are 95% clear and riding well. Suggest park at Boyd Cave trail and do an out and back either way until you hit the trees. Lots of snow and mud in the trees and in the short canyon near Coyote Butte. Like Patrick said, should be better in a week. Keep single track single, ride in the middle! Rode today and it was FANTASTIC! That trail when it’s good….it is really really good. 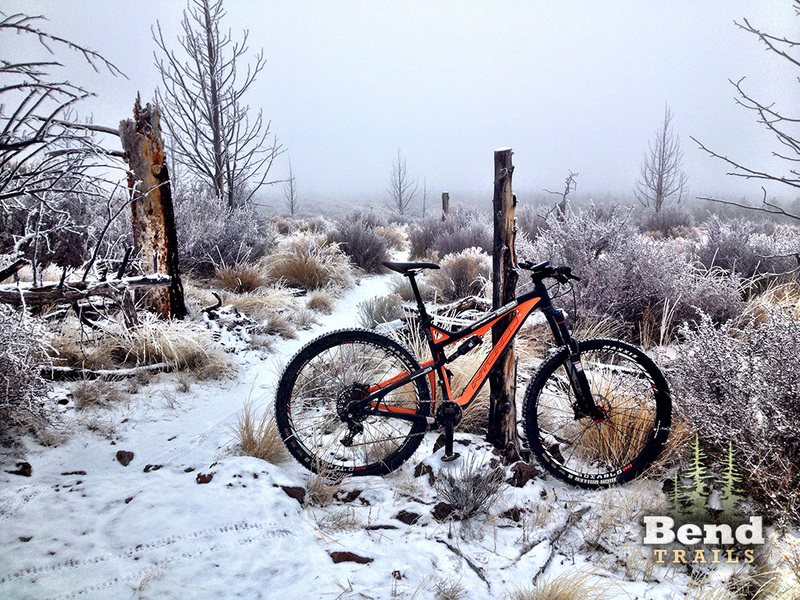 Only a few slick spots but the views are just awesome. 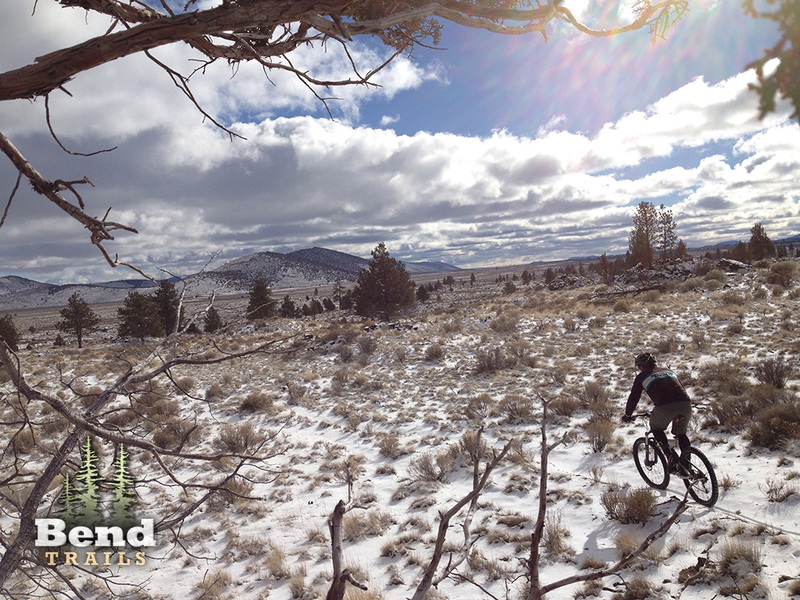 Makes you feel like you are riding the real High Desert instead of the Forrest….which I do love. A few loose spots and expect to be bushwhacking otherwise in good shape. Great condition right now, no more mud, just tacky dirt! Riding well. A few small spots of mud but overall trail is in great shape. My wife and I rode it last Sunday, (2/21/16). 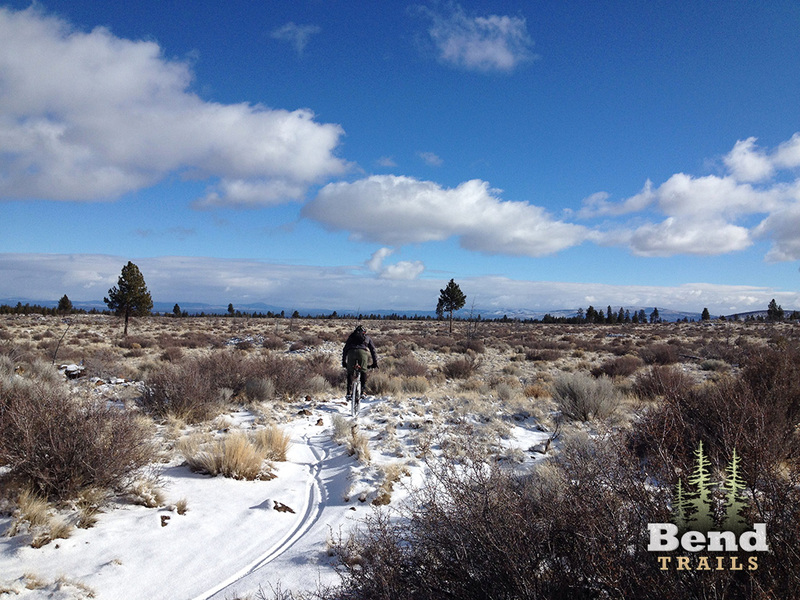 As with most trails this time of year, it was great early – when it was still frozen. At about 4,700′ elevation the trail was about half snow and half dirt. By 4,800′ it was pretty much all snow. But… it had a nice crust and you could cruise along the top on a fatbike. I was able to get all the way to the horse camp. I’m not saying it was easy, but it was rideable. By the time I got back down to the dirt on the Coyote trail it was very sloppy. Horrible ice mess this morning. The snow is so packed, that it is pure slip and slide at this point. Had to bail on my attempt at a ride. Hope the new snow helps! Overall riding okay as of this week. Lots of other traffic on this trail is making the snow bumpy.